Here are the best tips for picking a winning online slot. All about checking RTPs, payouts, jackpots and pay lines. Are you ready to know how to win with online slots? Every online slot is different, from the graphic structure to gameplay and payouts. Online slots are exciting – the sounds, the movement of the reels and the sight of money adding up to your account. You have heard of people who have broken the internet by winning millions on online slots. There is this one lucky lady from the UK, who won £1,200 without depositing anything. This means you should still be hopeful for some slot magic. Whether you are a beginner or an intermediary player. There are thousands of online slots out there and picking the best one might seem difficult. So what do you do? Read on. Learn how to choose and win on online slots. Now that you know the best online casino or casinos to play at, you can go ahead and start shopping for an online slot. High payouts = huge wins. To win big, you need to play on slots that pay more than the rest. –And the best way to find out is by checking the Return to Player (RTP). The Return to Player is the exact opposite of the house edge. RTP is the percentage of all the wagered money that a slot will pay back to its players. Check here to see online slots with the highest RTPs. P.S. The best RTPs are above 96% but you will be glad to know that games like Mega Jokercomes with 99%. Many beginners make the mistake of playing online slots without checking the reels, rows and number of pay lines. If you are going for simplicity, 3 reel slots will be perfect for you. Some great 3 reel slots include Supernova (5 pay lines), Lucky Diamonds, Irish Gold and Football Mania. Popular slots like Baron Samedi, Mega Moolah and Starburst come with 5 reels. The number of reels or rows will slightly affect the payouts but your main focus should be on the pay lines. The number of pay lines or ways-of-winning could greatly affect your bankroll, entertainment and wins. How do paylines work? By definition, a payline is a line in an online slot that includes a winning combination of symbols usually 3 or more. Different slots pay different on the pay lines – left to right, both ways, vertically or diagonally. If a slot has 40 winning paylines and you wish to pay 1 pence on every payline, each spin will cost you 40 pence. 3. What is the volatility? Volatility or variance will greatly affect your bankroll so always check before playing. The variance of a slot determines how much risk is involved in playing a specific slot for real money. It will also affect how you win. Low volatility slotshave more frequent wins but the wins are smaller. High volatility slotshave rare wins but the wins are bigger. Note that high volatility slots are better for big bankrollers as they can quickly eat your cash. But when you hit a win, it will be a big one…. Find out the volatility of a potential slot by checking the settings. If you are not sure, try the slot to test the volatility yourself using free spins bonuses. 4. What are the special features? Before you choose a slot, check out the special features. The more the features, the more fun and more time you will have to play the slot. Free Spins– Free spins give you more time on your favourite slot while increasing your chances of winning. Gamble Feature– This helps you to decide whether you want to keep your wins after a spin or gamble them for a higher prize. Nudges and scattering– Nudges will push symbols around the reels and re-distribute them to give you better combinations. Check the minimum and maximum betting limits of a slot before playing. Coin value is the amount of cash you are expected to pay on a betting line. It is calculated in coins. What about slots with 243 ways to win you ask? Good news is, you won’t be betting a coin for each way – that would just be too much for one spin. Games with a huge number of paylines usually come with a default bet amount on every spin. What is the highest amount of money you can win on a payline? 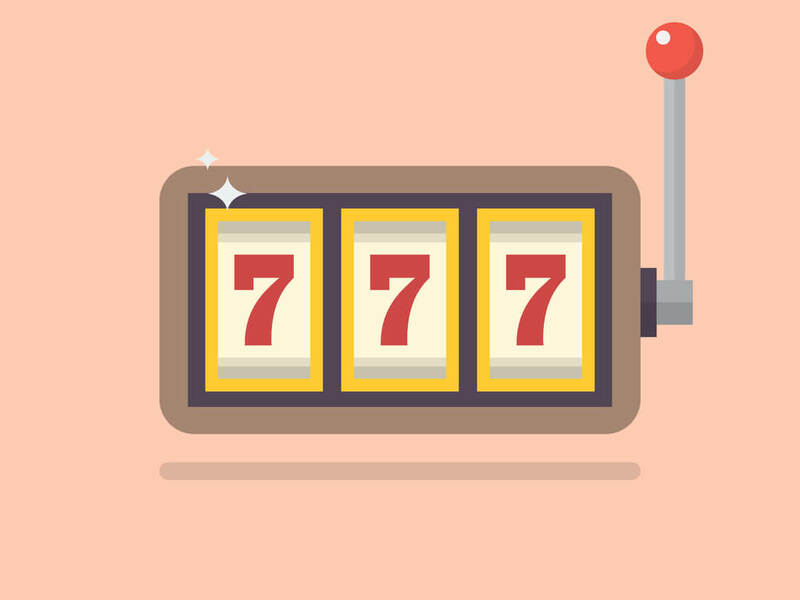 Yes, jackpot slots make a lot of money but you could also win big on a regular slot. For example, Book of Deadcomes with £250,000 max payout. You will get 10000x your stake maximum for playing Vikingsslot. Mega Fortuneoffers up to £108 100 maximum in cash. Here is where it online slots get delicious. Slot jackpots have really changed some people’s lives overnight. Just the other day, someone got away with £13 million from just a few spins on Mega Moolah. Then there is this lucky guy in 2015, who broke a world record by winning £18 million after 30 minutes on a slot! Progressive jackpot– The jackpot increases until someone wins. How does the game look like on a mobile phone? Is the user interface smooth and can you access the control panel? Knowing whether you want to play on your mobile phone or desktop will help you decide which online slots you wish to play. The first and most important step is to choose a reliable online casino where you can play. Picking the right casino is as important as picking an online slot. The type of online casino you play will affect how you receive your wins when you receive your wins and any other terms and restrictions. • How early should you claim your wins before they become invalid? So, have you made up your mind on which are the best slots you wish to play? You will often have to choose between playing fixed and progressive slots. We highly recommend you play slots with progressive jackpots as opposed to fixed. Random jackpots pay out more often and the amount is usually higher. With the perfect strategy, you will be able to save losses and get away with a couple of wins. If not millions, several thousands. Remember that managing your bankroll is key. Learn how to balance your bankroll in relation to the bet limit and volatility. Here are some of the most thrilling online slots you could play today.